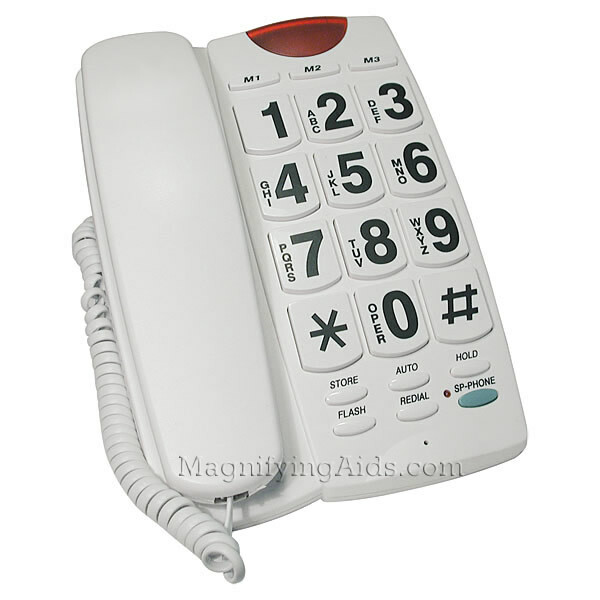 In addition to 10 two touch speed dialing, 3 programmable one touch speed dials, hold button, last number re dial, it is a two way speaker phone with volume control. Measures 8.50 x 5.75 inches and has 1 x 1.25 inch buttons with large bold numbers. * 10 two-touch memories for speed dialing the memories are backed up even if the unit is unplugged from the line. * 2 one-touch speed dialing the memories are backed up even if the unit is unplugged from the line. * Red 911 Emergency Key.